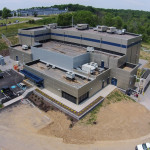 NEW YORK & PITTSBURGH--(BUSINESS WIRE)--Lightweight metals leader Alcoa (NYSE:AA) has opened its state-of-the-art, 3D printing metal powder production facility. Located at the Alcoa Technology Center, the world’s largest light metals research center, the Company will produce proprietary titanium, nickel and aluminum powders optimized for 3D printed aerospace parts. Alcoa also has invested in a range of technologies to further develop additive processes, product design and qualification. Metal powders used for 3D printing durable, high-quality aerospace parts are available in limited quantities. Through this expansion, announced in September 2015, Alcoa will develop materials with the specific properties needed to 3D print high-performance components. Alcoa has deep expertise in metal alloy development having invented most of the aluminum alloys used in aerospace today. In addition, it has a 100-year history in aluminum metal powder production, primarily for rocket fuel, paint and other products. The facility will form part of Arconic following separation from Alcoa’s traditional commodity business in the second half of 2016. The plant is part of a $60 million investment in advanced 3D printing materials and processes that builds on the Company’s 3D printing capabilities in California, Georgia, Michigan, Pennsylvania and Texas. In addition to producing powders, Alcoa is focused on advancing a range of additive techniques, including its recently unveiled Ampliforge™ process, a hybrid technique that combines additive and traditional manufacturing. Using the Ampliforge™ process, Alcoa designs and 3D prints a near complete part, then treats it using a traditional manufacturing process, such as forging. The process enhances the properties of 3D printed parts, increasing toughness and strength versus parts made solely by additive manufacturing, and significantly reduces material input. Alcoa is piloting the technique in Pittsburgh and Cleveland. Alcoa has manufactured 3D printed products for the past 20 years and owns and operates one of the world’s largest HIP (Hot Isostatic Pressing) complexes in aerospace. HIP technology strengthens the metallic structures of traditional and additive manufactured parts made of titanium and nickel based super-alloys. Through the RTI acquisition, Alcoa gained 3D printing capabilities in titanium and other specialty metals for the aerospace market and other growth industries. Demonstrating its leadership in additive manufacturing, Airbus recently selected Alcoa to supply 3D printed titanium fuselage and engine pylon parts for commercial aircraft. Alcoa expects to deliver the first additive manufactured parts under the agreement later this year. Alcoa’s aerospace businesses will be a key component of Arconic following Alcoa’s separation. Arconic will be a premier innovator of high performance multi-material products and solutions in attractive growth markets, including aerospace. The separation remains subject to the satisfaction of certain conditions, including obtaining final approval from the Alcoa Board of Directors, receipt of a favorable IRS ruling and opinions of Alcoa’s tax advisors regarding certain U.S. federal income tax matters and the effectiveness of the Form 10. A global leader in lightweight metals technology, engineering and manufacturing, Alcoa innovates multi-material solutions that advance our world. Our technologies enhance transportation, from automotive and commercial transport to air and space travel, and improve industrial and consumer electronics products. We enable smart buildings, sustainable food and beverage packaging, high-performance defense vehicles across air, land and sea, deeper oil and gas drilling and more efficient power generation. We pioneered the aluminum industry over 125 years ago, and today, our more than 58,000 people in 30 countries deliver value-add products made of titanium, nickel and aluminum, and produce best-in-class bauxite, alumina and primary aluminum products. For more information, visit www.alcoa.com, follow @Alcoa on Twitter at www.twitter.com/Alcoa and follow us on Facebook at www.facebook.com/Alcoa. This release contains statements that relate to future events and expectations and as such constitute forward-looking statements within the meaning of the Private Securities Litigation Reform Act of 1995. Forward-looking statements include those containing such words as “anticipates,” “estimates,” “expects,” “may,” “plans,” “projects,” “should,” “will,” “would,” or other words of similar meaning. All statements that reflect Alcoa’s expectations, assumptions or projections about the future other than statements of historical fact are forward-looking statements, including, without limitation, statements regarding the separation transaction. Forward-looking statements are not guarantees of future performance and are subject to risks, uncertainties, and changes in circumstances that are difficult to predict. Although Alcoa believes that the expectations reflected in any forward-looking statements are based on reasonable assumptions, it can give no assurance that these expectations will be attained and it is possible that actual results may differ materially from those indicated by these forward-looking statements due to a variety of risks and uncertainties. Such risks and uncertainties include, but are not limited to: (a) uncertainties as to the timing of the separation and whether it will be completed; (b) the possibility that various closing conditions for the separation may not be satisfied; (c) the outcome of contingencies, including legal proceedings; (d) unfavorable changes in the markets served by Alcoa, including the aerospace market; and (e) the other risk factors discussed in Alcoa’s Form 10-K for the year ended December 31, 2015, and other reports filed with the U.S. Securities and Exchange Commission. Alcoa disclaims any obligation to update publicly any forward-looking statements, whether in response to new information, future events or otherwise, except as required by applicable law. 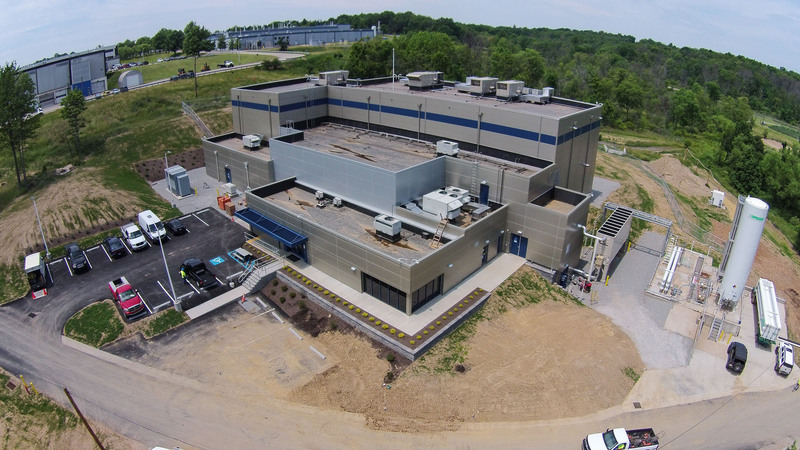 Alcoa has opened its state-of-the-art, 3D printing metal powder production facility located at the Alcoa Technology Center, the world’s largest light metals research center (shown here).